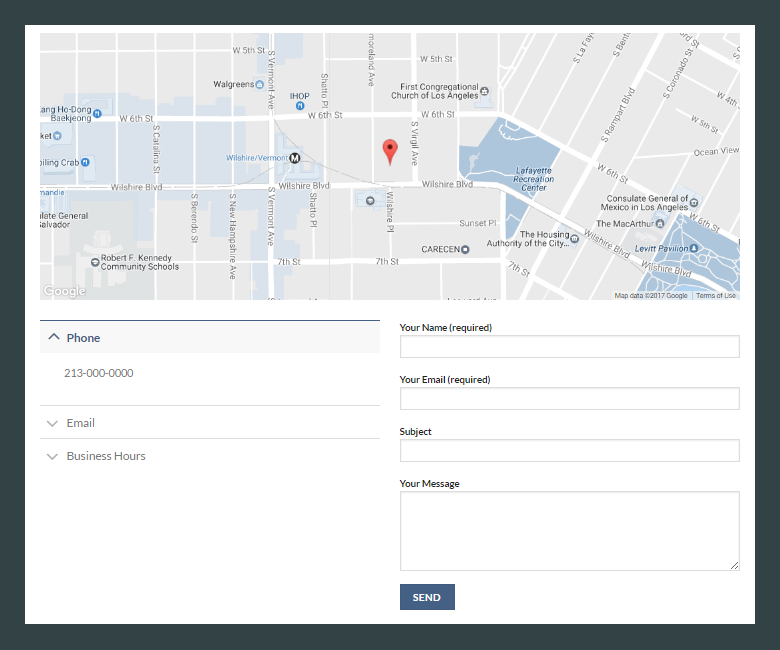 [fusion_builder_container hundred_percent=”yes” overflow=”visible”][fusion_builder_row][fusion_builder_column type=”1_1″ background_position=”left top” background_color=”” border_size=”” border_color=”” border_style=”solid” spacing=”yes” background_image=”” background_repeat=”no-repeat” padding=”” margin_top=”0px” margin_bottom=”0px” class=”” id=”” animation_type=”” animation_speed=”0.3″ animation_direction=”left” hide_on_mobile=”no” center_content=”no” min_height=”none”][fusion_dropcap color=”” boxed=”no” boxed_radius=”8px” class=”” id=””]DIY [/fusion_dropcap]쇼핑몰 따라하기는 커스텀 DIY쇼핑몰을 제작하는 방법을 쉽게 따라하실 수 있도록 도움을 드리는 가이드 입니다. 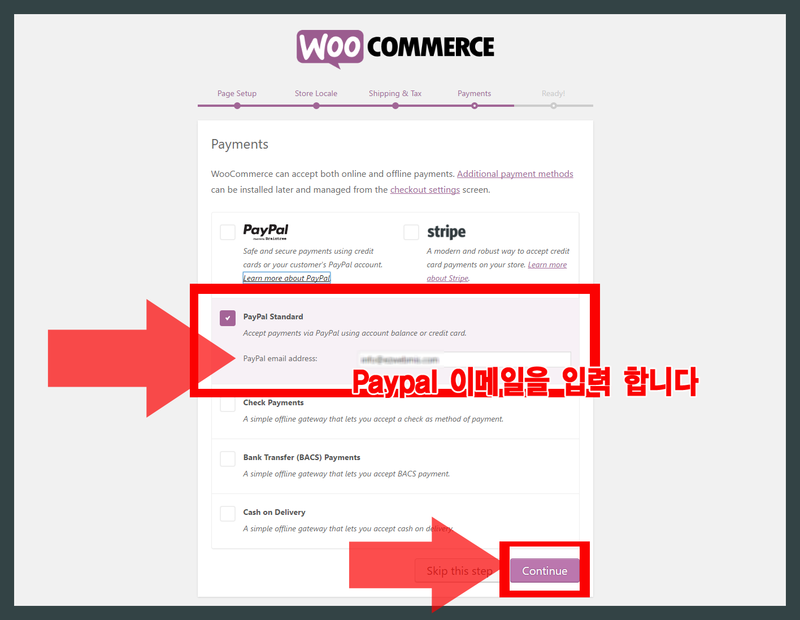 본 가이드에서는 워드프레스(WordPress) + 우커머스(WooCommerce)를 사용한 커스텀 쇼핑몰 제작을 설명합니다. 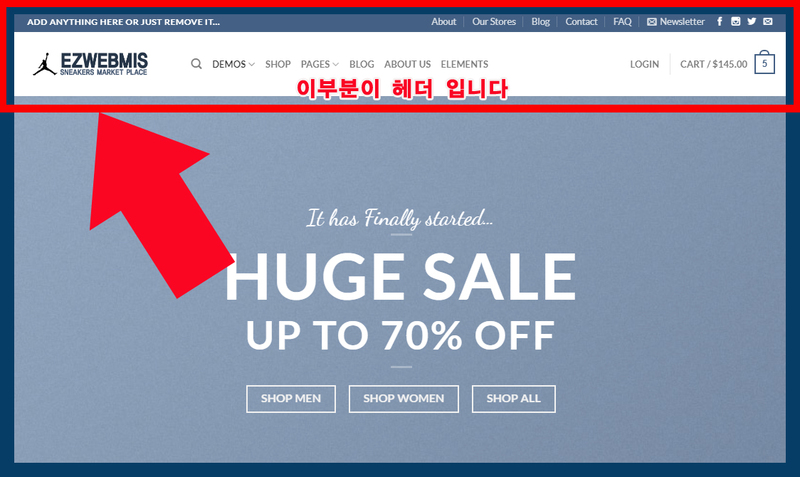 반복적으로 커스텀 이라는 단어를 사용하는 이유는 워드프레스(WordPress) + 우커머스(WooCommerce) 조합으로 쇼핑몰을 제작하면 기능이나 디자인을 여러분의 비지니스 환경에 맞도록 커스터마이징이 가능하기 때문입니다. 쇼핑몰을 시작하면서 최소한의 비용으로 멋진 쇼핑몰을 만드는 가장 적합한 방법입니다. 본 가이드에서는 , Flatsome 이라는 디자인테마를 사용하고 있습니다. 본 DIY가이드를 진행 하시기 위해서는 Flatsome 디자인테마를 구입하셔야 합니다. 물론, 우커머스 쇼핑몰을 만들기 위한 무료 디자인테마도 있습니다. 그러나, 멋진 기능과 디자인을 적용하기 위해서는 수많은 유료 플러그인을 별도로 설치해야합니다. Flatsome은 이런 기능과 디자인을 이미 충분히 가지고 있기 때문에 실제로 쇼핑몰을 제작하는 시간과 비용을 Save하도록 해줍니다. 또한, 아래와 같이 최고의 웹디자이너들이 미리 만들어 놓은 15개의 멋진 디자인 중 하나를 선택해서 시작할 수 있고, 나중에 다른 디자인으로 변경도 가능합니다. 각각의 디자인을 클릭 해보면 Live 웹사이트를 보실 수 있습니다. 우커머스 쇼핑몰을 제작 할 때 웹호스팅의 선택은 아주 중요합니다. 가능하면 워드프레스와 우커머스에서 공식적으로 권장하는 웹호스팅 회사를 선택하시는 것이 좋습니다. 왜냐하면 워드프레스와 우커머스를 운영하기 위해서는 권장되는 특정한 서버 사양이 있습니다. 이런 서버 권장 사양을 만족 하고 또, 워드프레스와 우커머스의 지속적인 업데이트 패치들을 적용해 주어야 합니다. 이런 내용들을 신경쓰지않으면 속도저하, 웹사이트 다운, 해킹 및 Malware 감염등의 피해를 입을 수 있습니다. 워드프레스와 우커머스에서 권장하는 웹호스팅 회사들은 이런 내용들을 별도로 신경쓰지 않아도 웹호스팅 회사에서 자체적으로 이런 부분을 모두 지원해줍니다. 워드프레스 웹호스팅 선택하기를 참조하셔서 웹호스팅 회사를 선택 하시기 바랍니다. 만약 내용을 잘 이해하시기 힘드시면 저희가 가장 우선적으로 권장 하는 사이트그라운드를 가지고 시작을 하시면 웹호스팅 회사 선택의 스트레스를 줄이 실 수 있을 것입니다. 자세한 내용은 사이트그라운드 장점 및 구입, 설정 방법을 참조하세요. [fusion_fontawesome icon=”fa-chevron-right” circle=”yes” size=”13px” iconcolor=”” circlecolor=”” circlebordercolor=”” rotate=”” spin=”no” animation_type=”0″ animation_direction=”down” animation_speed=”0.1″ alignment=”left” class=”” id=””/]Flatsome 디자인테마를 설치하기 위해서 Appearance > Themes 화면으로 이동 합니다. 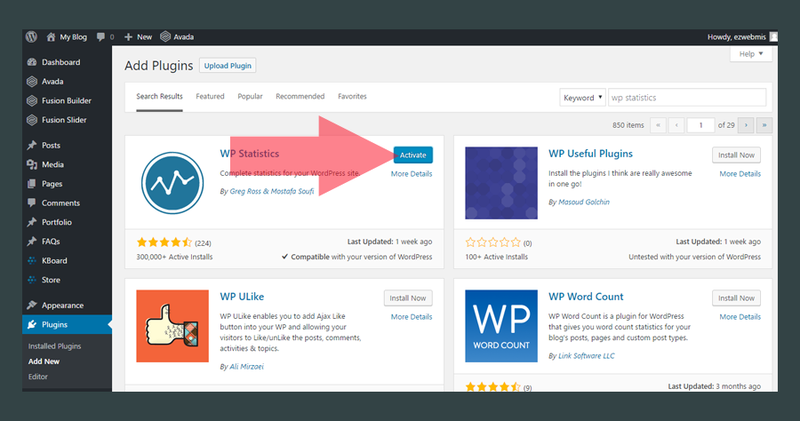 [fusion_fontawesome icon=”fa-chevron-right” circle=”yes” size=”13px” iconcolor=”” circlecolor=”” circlebordercolor=”” rotate=”” spin=”no” animation_type=”0″ animation_direction=”down” animation_speed=”0.1″ alignment=”left” class=”” id=””/]아래 화면과 같이 Add New 버튼을 클릭 합니다. 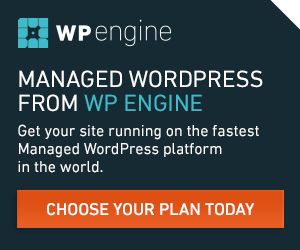 [fusion_fontawesome icon=”fa-chevron-right” circle=”yes” size=”13px” iconcolor=”” circlecolor=”” circlebordercolor=”” rotate=”” spin=”no” animation_type=”0″ animation_direction=”down” animation_speed=”0.1″ alignment=”left” class=”” id=””/]아래 화면과 같이 Flatsome 설치 화일을 업로드하기 위해서 ‘Upload Theme‘을 클릭 합니다. (1) Flatsome 설치화일을 업로드 하기 위해서 ‘Choose File‘을 클릭합니다. (2) 본인이 Flatsome 디자인테마를 구입 후 다운로드 받은 폴더를 선택 합니다. 거기서 설치 화일을 찾아서 선택해 줍니다. (3) ‘Install Now’를 클릭 합니다. [fusion_fontawesome icon=”fa-chevron-right” circle=”yes” size=”13px” iconcolor=”” circlecolor=”” circlebordercolor=”” rotate=”” spin=”no” animation_type=”0″ animation_direction=”down” animation_speed=”0.1″ alignment=”left” class=”” id=””/]아래 그림과 같이 Flatsome의 Welcome 화면이 나타납니다. 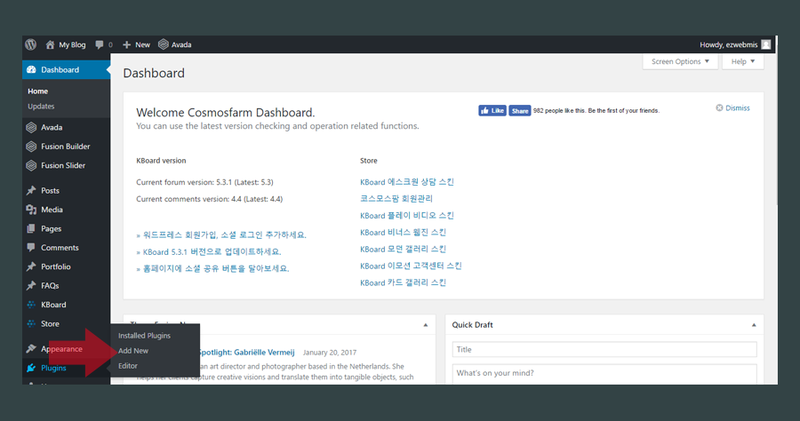 여기서 Setup wizard for Flatsome 과정이 시작됩니다. 이 과정을 지금 생략하고 나중에 해도 됩니다. 그럴경우는 아래와 같이 ‘Not right now‘를 클릭하세요. 여기서는 ‘Let’s Go!’를 클릭하세요. 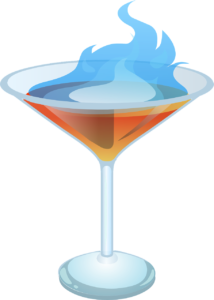 [fusion_fontawesome icon=”fa-chevron-right” circle=”yes” size=”13px” iconcolor=”” circlecolor=”” circlebordercolor=”” rotate=”” spin=”no” animation_type=”0″ animation_direction=”down” animation_speed=”0.1″ alignment=”left” class=”” id=””/]Flatsome 디자인테마를 구입하신 ThemeForest.net으로 로그인 합니다. 구입하신 Flatsome 다운로드 페이지로 이동합니다. 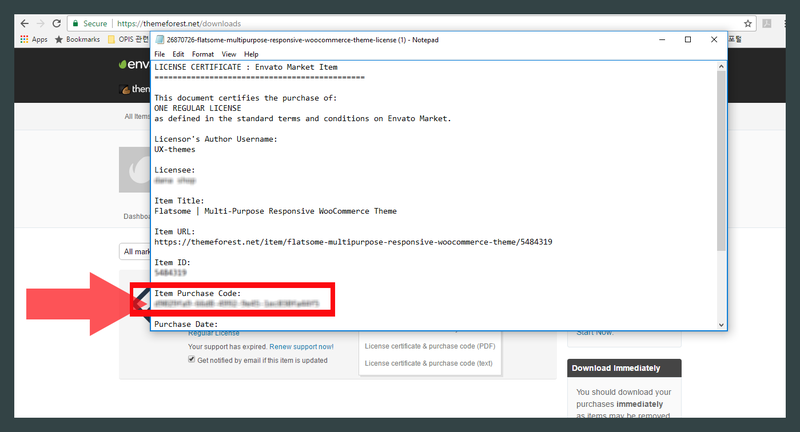 4가지 다운로드 옵션중 가장 아래에 있는 ‘License certificate & purchase code (text)‘를 다운로드 합니다. 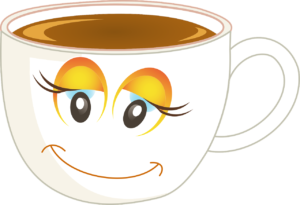 [fusion_fontawesome icon=”fa-chevron-right” circle=”yes” size=”13px” iconcolor=”” circlecolor=”” circlebordercolor=”” rotate=”” spin=”no” animation_type=”0″ animation_direction=”down” animation_speed=”0.1″ alignment=”left” class=”” id=””/]다운로드받은 ‘License certificate & purchase code (text)‘를 오픈합니다. 아래 그림처럼 화면 하단에서 ‘Item Purchase Code‘를 확인 할 수 있습니다. 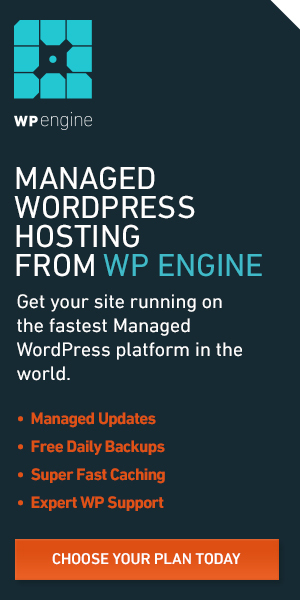 [fusion_fontawesome icon=”fa-chevron-right” circle=”yes” size=”13px” iconcolor=”” circlecolor=”” circlebordercolor=”” rotate=”” spin=”no” animation_type=”0″ animation_direction=”down” animation_speed=”0.1″ alignment=”left” class=”” id=””/]다음화면은 ‘Child Theme‘을 설치하는 과정 입니다. 여기서는 ‘Skip this step‘을 클릭합니다. [fusion_fontawesome icon=”fa-chevron-right” circle=”yes” size=”13px” iconcolor=”” circlecolor=”” circlebordercolor=”” rotate=”” spin=”no” animation_type=”0″ animation_direction=”down” animation_speed=”0.1″ alignment=”left” class=”” id=””/]아래 화면처럼 필수 플러그인 설치 화면이 나타납니다. ‘Continue‘를 클릭 합니다. 설치되는데 시간이 조금 걸립니다. 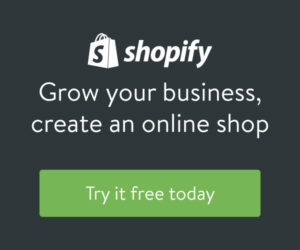 [fusion_fontawesome icon=”fa-chevron-right” circle=”yes” size=”13px” iconcolor=”” circlecolor=”” circlebordercolor=”” rotate=”” spin=”no” animation_type=”0″ animation_direction=”down” animation_speed=”0.1″ alignment=”left” class=”” id=””/]이전 화면에서 필수 플러그인 설치 과정이 끝나면 ‘Demo Contents‘를 설치하는 화면이 나타납니다. Demo Contents를 설치하기 위해서, 모두 체크를 하고 ‘Continue’를 클릭 합니다. [fusion_fontawesome icon=”fa-chevron-right” circle=”yes” size=”13px” iconcolor=”” circlecolor=”” circlebordercolor=”” rotate=”” spin=”no” animation_type=”0″ animation_direction=”down” animation_speed=”0.1″ alignment=”left” class=”” id=””/]Demo Contents가 설치된 후에는 Logo를 업로드 하는 화면이 나타납니다. 또한, 화면 중앙에 보면 이미 만들어진 쇼핑몰 디자인중 하나를 선택할 수 있습니다. 로고를 업로드 후 ‘Continue’를 클릭 합니다. (로고의 이미지 사이즈는 가로395px X 세로 84PX입니다). [fusion_fontawesome icon=”fa-chevron-right” circle=”yes” size=”13px” iconcolor=”” circlecolor=”” circlebordercolor=”” rotate=”” spin=”no” animation_type=”0″ animation_direction=”down” animation_speed=”0.1″ alignment=”left” class=”” id=””/]여기까지 Flatsome 디자인테마의 기본설정 완료됬습니다. ‘Agree and Continue’를 클릭 합니다. 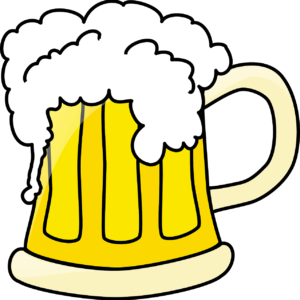 [fusion_fontawesome icon=”fa-chevron-right” circle=”yes” size=”13px” iconcolor=”” circlecolor=”” circlebordercolor=”” rotate=”” spin=”no” animation_type=”0″ animation_direction=”down” animation_speed=”0.1″ alignment=”left” class=”” id=””/]이제 Flatsome 디자인테마의 설치와 셑업이 완료됬습니다. 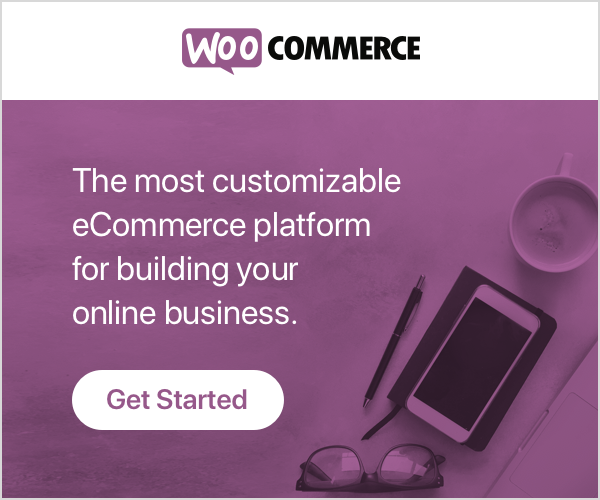 아래 그림처럼 ‘Setup WooCommerce‘ 를 클릭해서 WooCommerce Quick Setup으로 이동합니다. [fusion_fontawesome icon=”fa-chevron-right” circle=”yes” size=”13px” iconcolor=”” circlecolor=”” circlebordercolor=”” rotate=”” spin=”no” animation_type=”0″ animation_direction=”down” animation_speed=”0.1″ alignment=”left” class=”” id=””/]여기까지 진행 후 실제로 웹사이트를 보면 아래 화면과 같습니다. 보시는 바와 같이 이미 쇼핑몰의 기본틀을 모두 갖추고 있습니다. [fusion_fontawesome icon=”fa-chevron-right” circle=”yes” size=”13px” iconcolor=”” circlecolor=”” circlebordercolor=”” rotate=”” spin=”no” animation_type=”0″ animation_direction=”down” animation_speed=”0.1″ alignment=”left” class=”” id=””/]위 화면에서 ‘Setup WooCommerce‘를 클릭하면 아래 화면과 같이 WooCommerce Quick Setup화면이 나타납니다. ‘Lets Go!‘를 클릭 합니다. [fusion_fontawesome icon=”fa-chevron-right” circle=”yes” size=”13px” iconcolor=”” circlecolor=”” circlebordercolor=”” rotate=”” spin=”no” animation_type=”0″ animation_direction=”down” animation_speed=”0.1″ alignment=”left” class=”” id=””/]아래는 WooCommerce Default 페이지들을 설치하는 화면 입니다. ‘Continue‘를 클릭 합니다. [fusion_fontawesome icon=”fa-chevron-right” circle=”yes” size=”13px” iconcolor=”” circlecolor=”” circlebordercolor=”” rotate=”” spin=”no” animation_type=”0″ animation_direction=”down” animation_speed=”0.1″ alignment=”left” class=”” id=””/] 아래 화면은 결제관련 세팅 화면 입니다. PayPal Standard 의 경우는 사용료가 무료입니다. 단, 매 주문건당 Fee가 발생 합니다. 미국에 사업장이 있는 경우 PayPal Transaction Fee 를 참조하세요. PayPal 이메일만 입력한 후 ‘Continue‘를 클릭하세요. [fusion_fontawesome icon=”fa-chevron-right” circle=”yes” size=”13px” iconcolor=”” circlecolor=”” circlebordercolor=”” rotate=”” spin=”no” animation_type=”0″ animation_direction=”down” animation_speed=”0.1″ alignment=”left” class=”” id=””/] 여기까지 진행이 되셨으면 ‘WooCommerce Quick Setup‘이 완료된 것입니다. 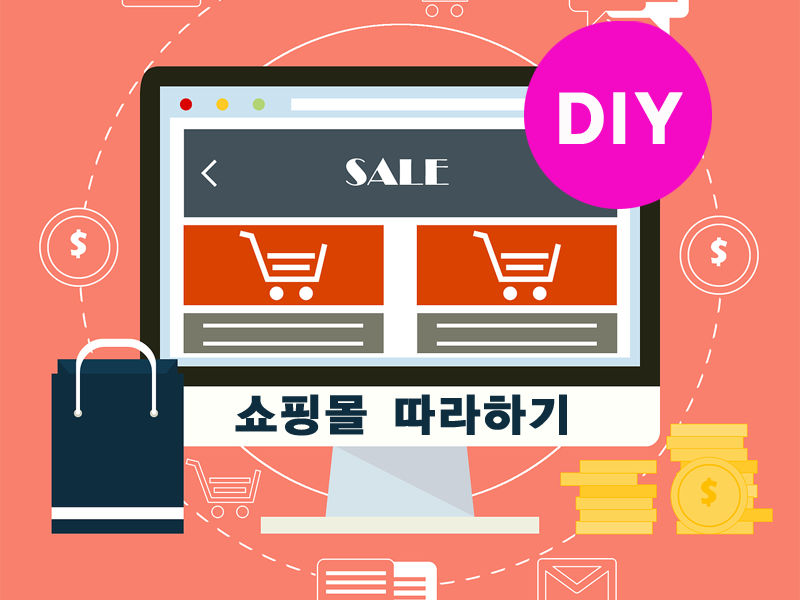 아래 그림과 같이 ‘Create your first products!‘를 클릭하면 바로 상품을 입력하실 수 있습니다. 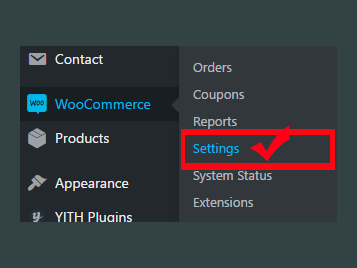 이전 단계인 4.우커머스(WooCommerce) Quick Setup을 통해서 다음과 같은 설정이 이미 완료 됬습니다. 위 3가지 설정 이외에도 실제로 쇼핑몰을 운영하기 위해서 꼭 필요한 설정들이 있습니다. 배송관련설정, 결제관련설정, 고객어카운트관련설정, 이메일관련설정등 중요한 설정들을 하셔야 합니다. 위 설정들은 내용이 너무 방대해서 별도의 글로 정리했습니다. 아래 링크를 클릭하세요. 쇼핑몰을 운영하시면서 가장 중요한 정보 중 하나인 상품등록에 대해서 알아보겠습니다. 우커머스의 상품등록은 저희가 제공해드리는 설명을 보시면 크게 어렵지 않게 하실 수 있습니다. 본인이 판매하고자 하는 상품타입이 어떤 것인지 잘 판단하셔서 등록을 하시기 바랍니다. 상품등록 및 관리관련 글도 내용이 길어서 별도의 글로 정리했습니다. 아래 링크를 클릭하세요. 대부분의 쇼핑몰들은 공통적으로 가지고 있는 페이지들이 있습니다. 쇼핑몰에 따라서 추가적인 페이지가 더 있을 수는 있지만, 일반적으로 About us, Contact us, FAQ, Terms & Condition등의 페이지는 꼭 필요한 페이지들이라 할 수 있습니다. About (us) : 우리 쇼핑몰에 대한 소개를 제공하는 페이지 입니다. 보통 고객들은 About (us) 페이지를 보고 쇼핑몰의 신뢰성을 판단하기도 합니다. Company 혹은 Who we are 등의 제목을 갖기도 합니다. Contact (us) : 고객의 문의사항이나 문제해결을 위한 연락 방법을 제공하는 페이지 입니다. 배송이 필요한 상품을 판매한다면 반품(Return)을 받을 주소등이 제공되야 합니다. FAQ : 배송(Shipping) 혹은 반품(Return), 환불(Refund)등 쇼핑몰 이용시 자주 질문하는 내용들을 모아서 고객에게 편리하게 정보를 제공하도록 하는 페이지 입니다. Terms & Condition : 쇼핑몰을 운영하는 회사의 내부 정책(Policy)을 보여주는 페이지 입니다. 향후 고객과의 분쟁 발생 시 책임소재등을 따질 때 참고가 되는 페이지 입니다. 보통 쇼핑의 마지막 단계인 결제(Checkout)페이지에서 이러한 T&C를 읽어야만 주문(Order)이 완료 되도록 설정을 해놓습니다. 페이지를 만들기 위해서는 먼저 워드프레스 페이지 만드는 방법을 알아보아야 합니다. 워드프레스는 쉽게 페이지를 만들고 만든 페이지를 헤더(Header)의 메인메뉴(Main Menu) 혹은 푸터(Footer), 사이드바(Sidebar)등에 링크형태로 연결 할 수 있습니다. [fusion_fontawesome icon=”fa-chevron-right” circle=”yes” size=”13px” iconcolor=”” circlecolor=”” circlebordercolor=”” rotate=”” spin=”no” animation_type=”0″ animation_direction=”down” animation_speed=”0.1″ alignment=”left” class=”” id=””/] Pages > Add New 화면으로 이동 합니다. 아래 화면에서 페이지 제목과 내용을 입력합니다. 다음 이어지는 화면들의 이미지 업로드까지 완료되면 ‘Publish를 클릭 합니다. (Tip) 이미지 업로드는 마지막에 하시는 것이 좋습니다. 먼저 글을 입력 하시고 글의 원하는 위치에 마우스를 한번 클릭하시고 이미지업로드를 하시면 이미지의 위치를 설정하기가 수월합니다. [fusion_fontawesome icon=”fa-chevron-right” circle=”yes” size=”13px” iconcolor=”” circlecolor=”” circlebordercolor=”” rotate=”” spin=”no” animation_type=”0″ animation_direction=”down” animation_speed=”0.1″ alignment=”left” class=”” id=””/] 페이지에 이미지 업로드하기. (1) ‘Add Media’ 를 클릭합니다. (2) 오픈되는 창에서 ‘Upload File’을 선택한 후 ‘Select Files’를 클릭 합니다. (3) 원하는 이미지 화일(들)을 선택 합니다. (4) ‘Open’ 버튼을 클릭 합니다. (5) ‘Insert into page’ 를 클릭 합니다. 이미지가 업로드 된 후에는 이미지위에 마우스를 한번 만 클릭 합니다. 그러면 아래 화면과 같이 이미지의 위치를 조절하는 옵션이 나타날 것입니다. Left, Right, Top, No align과 같이 4개의 우치 조절 옵션이 있습니다. 연필모양의 아이콘을 클릭하면 이미지를 변경, 사이즈조절, 이미지를 클릭 했을때 링크, 링크가 새창에서 열릴지 현재 창에서 열릴지 등을 설정 가능 합니다. 아래 화면은 이미지를 Left Align으로 했을때입니다. 아래와 같이 그림은 왼쪽으로 글은 오른쪽으로 Align이 잘 맞추어졌습니다. 이렇게 작성이 끝나면 ‘Publish’ (이미 한번 Publish을 했으면 ‘Update’)를 클릭 합니다. 위에서 만든 페이지는 아직 메뉴에 연결되있지 않기 때문에 사용자가 볼 수가 없습니다. 페이지를 메뉴에 연결하는 방법은 아래와 같습니다. 워드프레스에서 메뉴를 만들고 관리하는 것은 아주 쉽습니다. Drag & Drop 방식으로 쉽게 메뉴의 순서나 계층구조를 변경 가능 합니다. 또한, 페이지, 글, 카테고리, 상품, 상품 카테고리, 특별한 링크등 여러가지 소스를 메뉴에 직접 추가 할 수 있습니다. [fusion_fontawesome icon=”fa-chevron-right” circle=”yes” size=”13px” iconcolor=”” circlecolor=”” circlebordercolor=”” rotate=”” spin=”no” animation_type=”0″ animation_direction=”down” animation_speed=”0.1″ alignment=”left” class=”” id=””/] Appearance > Menus화면으로 이동 합니다. 아래 화면과 같이 조금전에 만든 About us 페이지가 가장 위에 보이는것을 알 수 있습니다. About us 페이지를 체크하고 ‘Add to menu’를 클릭합니다. [fusion_fontawesome icon=”fa-chevron-right” circle=”yes” size=”13px” iconcolor=”” circlecolor=”” circlebordercolor=”” rotate=”” spin=”no” animation_type=”0″ animation_direction=”down” animation_speed=”0.1″ alignment=”left” class=”” id=””/] 기존 메뉴에 새 메뉴 아이템을 추가 하면 기본값으로 메뉴의 가장 아래에 위치하게 됩니다. 아래 화면은 2가지 방식으로 메뉴를 원하는 위치에 이동 시킨 결과 입니다. Drag & Drop 방식으로 ‘Blog’ 와 ‘Element’ 사이에 위치 시킨후 메뉴를 Save한 결과 입니다. 위와 마찬가지로 Drag & Drop 방식으로 ‘Blog’ 와 ‘Element’ 사이에 위치 시킨면서 조금더 안쪽으로 이동시킨 후 메뉴를 Save한 결과 입니다. 이와 같이 메뉴의 위치를 마음대로 Drag & Drop 방식으로 원하는대로 만들 수 있습니다. 페이지를 만들 때 보통은 워드프레스에서 기본적으로 제공하는 기본 Editor로 작성을 합니다. 그러나 워드프레스 기본 Editor를 이용해서 페이지를 멋지게 꾸미는 것에는 한계가 있습니다. 그래서 보통 Flatsome과 같은 유료 디자인테마들은 대부분 유료페이지빌더(Visual Composer와 같은) 혹은 자체적으로 개발한 페이지빌더를 제공합니다. Flatsome의 경우는 자체적으로 개발한 UX Builder 라는 Drag & Drop 방식의 페이지 빌더를 제공 합니다. 아래는 UX Builder의 자세한 사용 방법관련 동영상 입니다. [fusion_fontawesome icon=”fa-chevron-right” circle=”yes” size=”13px” iconcolor=”” circlecolor=”” circlebordercolor=”” rotate=”” spin=”no” animation_type=”0″ animation_direction=”down” animation_speed=”0.1″ alignment=”left” class=”” id=””/] Pages> All pages 로 이동해서 원하는 페이지를 선택해서 마우스를 페이지 제목위로 가져갑니다. 그러면 ‘Edit’이라는 링크가 나타납니다. ‘Edit’을 클릭합니다. 그러면 아래와 같은 화면이 나타납니다. 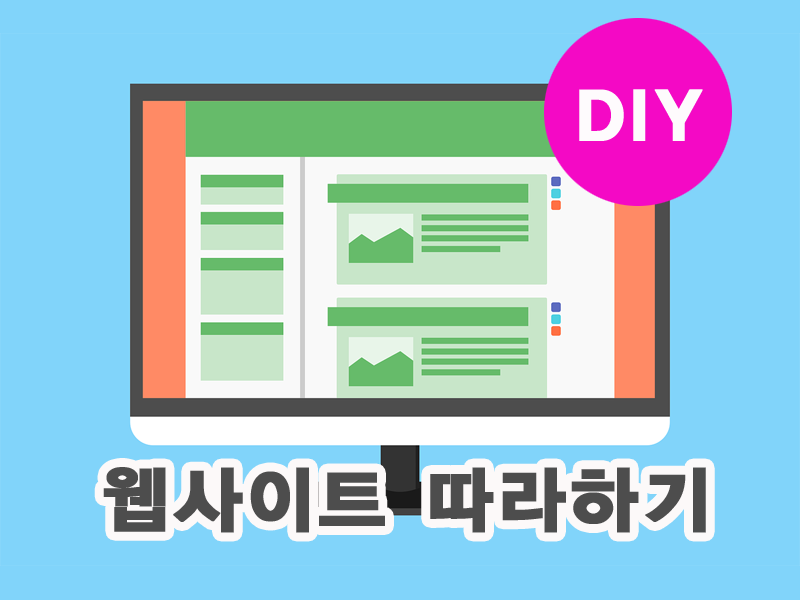 아래 화면과 같이 ‘UX Builder’를 클릭 합니다. [fusion_fontawesome icon=”fa-chevron-right” circle=”yes” size=”13px” iconcolor=”” circlecolor=”” circlebordercolor=”” rotate=”” spin=”no” animation_type=”0″ animation_direction=”down” animation_speed=”0.1″ alignment=”left” class=”” id=””/] 아래와 같이 왼쪽에 UX Builder의 컨트롤 판넬이 나타납니다. 현재 오픈된 About us 페이지에는 이전 예제에서 우리가 입력했던 이미지와 텍스트가 포함된 Text라는 Element 하나만 보여질 것 입니다. UX Builder 컨트롤 판넬에 있는 ‘Text’ Element 바로 아래 ‘Add to Content’라는 버튼을 클릭 합니다. [fusion_fontawesome icon=”fa-chevron-right” circle=”yes” size=”13px” iconcolor=”” circlecolor=”” circlebordercolor=”” rotate=”” spin=”no” animation_type=”0″ animation_direction=”down” animation_speed=”0.1″ alignment=”left” class=”” id=””/] ‘Add to Contents’ 를 클릭하면 아래 화면과 같이 ‘LAYOUT’, ‘CONTENT’, ‘SHOP’ 이라는 사용가능한 기능들이 나열됩니다. LAYOUT : 웹페이지의 구조를 잡아주는 기능들을 나열합니다. 배너 슬라이더도 기능도 여기에서 사용 가능 합니다. CONTENT : 웹페이지를 다양하게 꾸며주는 기능들을 선택하실 수 있습니다. SHOP : 사용 가능한 우커머스 관련 기능들을 보여줍니다. [fusion_fontawesome icon=”fa-chevron-right” circle=”yes” size=”13px” iconcolor=”” circlecolor=”” circlebordercolor=”” rotate=”” spin=”no” animation_type=”0″ animation_direction=”down” animation_speed=”0.1″ alignment=”left” class=”” id=””/] 먼저 LAYOUT 중 하나를 선택 합니다. [fusion_fontawesome icon=”fa-chevron-right” circle=”yes” size=”13px” iconcolor=”” circlecolor=”” circlebordercolor=”” rotate=”” spin=”no” animation_type=”0″ animation_direction=”down” animation_speed=”0.1″ alignment=”left” class=”” id=””/] 아래는 LAYOUT 중 ‘Large Media Left’라는 것을 선택한 경우의화면 입니다. 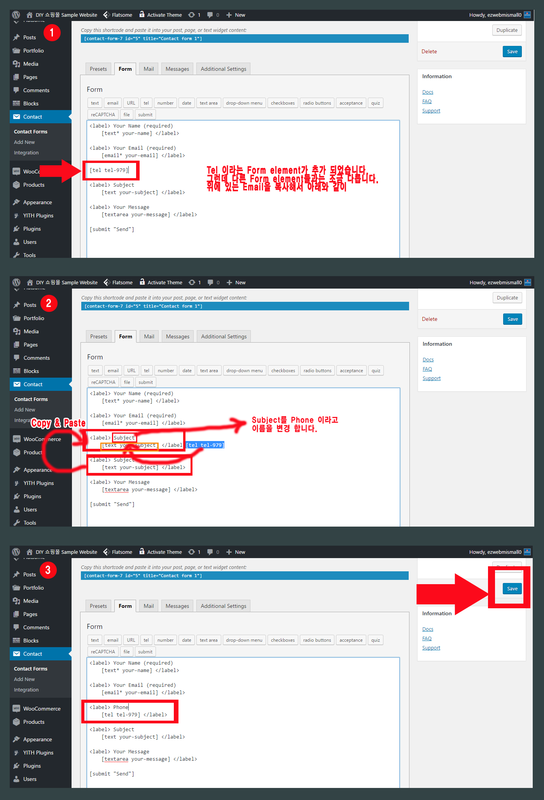 오른쪽에 Upload Image, Element Add등 2개의 컬럼(Column)이 만들어 진것을 보실 수 있습니다. [fusion_fontawesome icon=”fa-chevron-right” circle=”yes” size=”13px” iconcolor=”” circlecolor=”” circlebordercolor=”” rotate=”” spin=”no” animation_type=”0″ animation_direction=”down” animation_speed=”0.1″ alignment=”left” class=”” id=””/] ‘Upload Image’ 컬럼위에 마우스를 가져가면 왼쪽 위에 ‘Row’라고 표시되면서 우측에 톱니바퀴 아이콘이 나타 납니다. 톱니바퀴 아이콘을 클릭하면 아래 화면과 같이 여러가지 옵션메뉴가 나타 납니다. 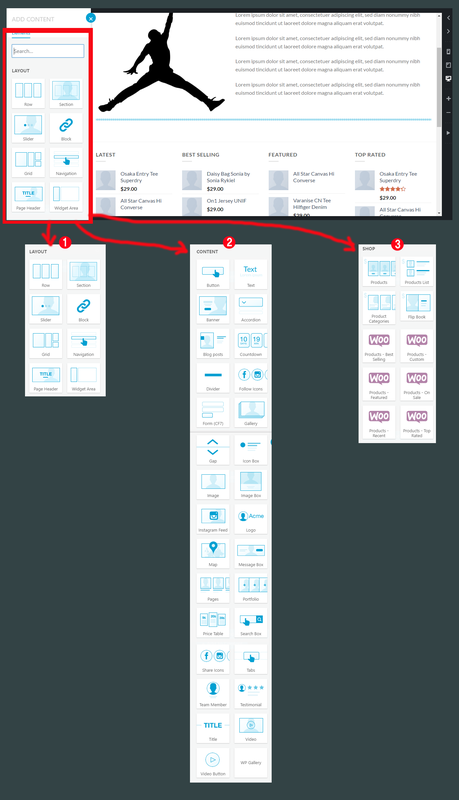 그리고 화면 좌측의 UX Builder 컨트롤 판넬에 있는 각각의 톱니바퀴 아이콘들도 클릭을 하면 동일하게 옵션메뉴가 보여집니다. 아래 화면과 같이 ‘Upload Image’를 더블클릭 합니다. Image를 한번만 클릭하면 왼쪽의 UX Builder 컨트롤 판넬이 이미지 설정 화면으로 변경 됩니다. Select Media를 클릭해서 원하는 이미지를 업로드 합니다. [fusion_fontawesome icon=”fa-chevron-right” circle=”yes” size=”13px” iconcolor=”” circlecolor=”” circlebordercolor=”” rotate=”” spin=”no” animation_type=”0″ animation_direction=”down” animation_speed=”0.1″ alignment=”left” class=”” id=””/] 이미지가 업로드되면 이미지 관련 옵션들을 설정 할 수 있습니다. 자세한 설정은 아래 화면의 왼쪽의 이미지 컨트롤 판넬에서 테스트 해보시기 바랍니다. 원하는 설정들을 완료한 후에는 화면 하단 왼쪽의 ‘Apply’를 클릭 합니다. 그러면 왼쪽 컬럼의 이미지 업로드가 완료 됩니다. [fusion_fontawesome icon=”fa-chevron-right” circle=”yes” size=”13px” iconcolor=”” circlecolor=”” circlebordercolor=”” rotate=”” spin=”no” animation_type=”0″ animation_direction=”down” animation_speed=”0.1″ alignment=”left” class=”” id=””/] 왼쪽 UX Builder 컨트롤 판넬의 CONTENT 중 ‘Text’를 클릭 합니다. [fusion_fontawesome icon=”fa-chevron-right” circle=”yes” size=”13px” iconcolor=”” circlecolor=”” circlebordercolor=”” rotate=”” spin=”no” animation_type=”0″ animation_direction=”down” animation_speed=”0.1″ alignment=”left” class=”” id=””/] 위에서 ‘Text’를 클릭하면 텍스트를 어떤 식으로 구성할 것인지를 미리 정해 놓은 PRESET중 하나를 선택 할 수 있습니다. ‘Apply’를 클릭하기 전까지는 Save가 되지 않기 때문에 하나씩 클릭해서 원하는 PRESET을 찾아서 원하는 것을 선택 합니다. 여기에서는 Paragraph with Headline을 선택 했습니다. 그러면 화면 우측과 같이 가장 윗줄에 Bold Headline이 보이고 그아래 Text가 보이는 형태의 PRESET이 선택 됩니다. [fusion_fontawesome icon=”fa-chevron-right” circle=”yes” size=”13px” iconcolor=”” circlecolor=”” circlebordercolor=”” rotate=”” spin=”no” animation_type=”0″ animation_direction=”down” animation_speed=”0.1″ alignment=”left” class=”” id=””/] 아래 화면과 같이 텍스트를 Element가 나타납니다. 오른쪽의 Text Element를 더블 클릭하거나 왼쪽 UX Builder의 ‘Open Text Editor’을 클릭하면 워드프레스 기본 Editor가 나타납니다. HTML에 익숙하지 않은경우 워드프레스 기본 Editor를 활용해서 텍스트를 입력 합니다. [fusion_fontawesome icon=”fa-chevron-right” circle=”yes” size=”13px” iconcolor=”” circlecolor=”” circlebordercolor=”” rotate=”” spin=”no” animation_type=”0″ animation_direction=”down” animation_speed=”0.1″ alignment=”left” class=”” id=””/] 이제 이미지와 텍스트 입력이 모두 완료 되었습니다. 왼쪽 UX Builder 의 가장 윘쪽에 있는 ‘Text’ Element 는 우리가 UX Builder를 사용하기 전에 워드프레스 기본 Editor로 입력한 자료 입니다. 이 내용은 우리가 방금 만든 자료와 중복이 됩니다. 따라서 삭제를 해야 합니다. 오른쪽의 톱니바퀴를 클릭해서 메뉴가 나타나도록 합니다. 메뉴중 ‘Delete’를 클릭합니다. ‘Update’를 클릭 합니다. [fusion_fontawesome icon=”fa-chevron-right” circle=”yes” size=”13px” iconcolor=”” circlecolor=”” circlebordercolor=”” rotate=”” spin=”no” animation_type=”0″ animation_direction=”down” animation_speed=”0.1″ alignment=”left” class=”” id=””/] 위 과정까지 진행이 완료되면 화면 왼쪽상단의 X 아이콘을 클릭해서 UX Builder를 Close합니다. [fusion_fontawesome icon=”fa-chevron-right” circle=”yes” size=”13px” iconcolor=”” circlecolor=”” circlebordercolor=”” rotate=”” spin=”no” animation_type=”0″ animation_direction=”down” animation_speed=”0.1″ alignment=”left” class=”” id=””/] 현재까지의 작업내용을 Save하기 위해서 반드시 ‘Update’를 클릭해 주세요. [fusion_fontawesome icon=”fa-chevron-right” circle=”yes” size=”13px” iconcolor=”” circlecolor=”” circlebordercolor=”” rotate=”” spin=”no” animation_type=”0″ animation_direction=”down” animation_speed=”0.1″ alignment=”left” class=”” id=””/] FrontPage에 가서 변경한 사항이 잘 적용 되었는지 확인 합니다. 아래 화면과 같이 잘 적용이 되었습니다. 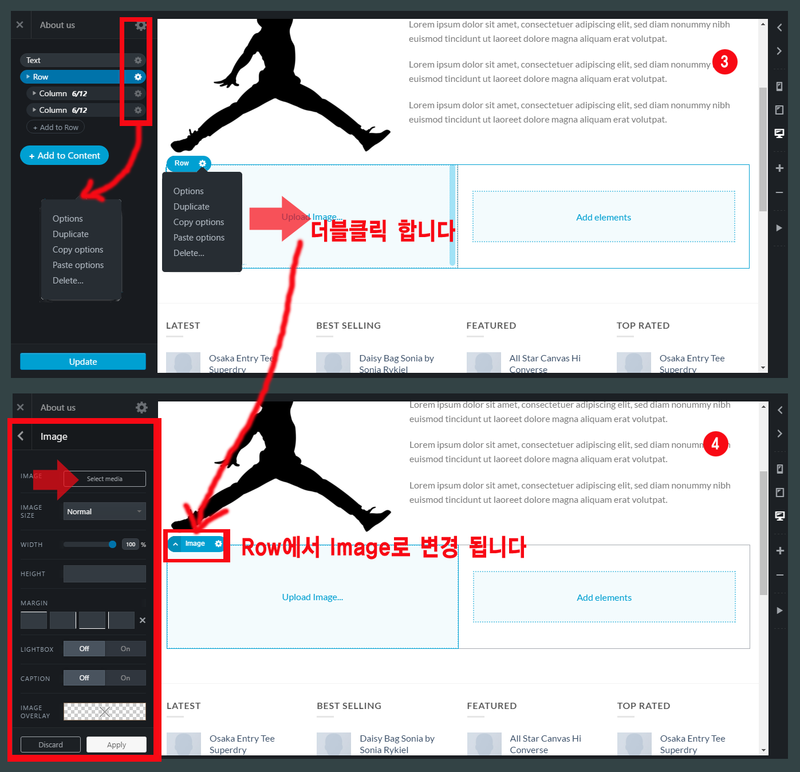 UX Builder를 통해서 새로운 Row를 추가해서 그것을 2개의 컬럼으로 나누고 컬럼의 PRESET으로 이미지와 텍스트가 나타나도록 설정해서 이미지, 텍스트 Element를 입력하는 과정을 함께 진행해 보았습니다. 또, 필요없는 ‘Text’ Element를 삭제하는 것도 해보았습니다. 조금 복잡해 보이지만 실제로 사용해보면 아주 직관적인 UX(Use Experience)를 제공 합니다. UX Builder에 대한 보다 자세한 정보가 필요한 경우아래 링크를 클릭하시면 보다 자세히 알아볼 수 있습니다. 이전 단계에서 UX Builder 를 이용한 페이지 꾸미기를 알아보았습니다. 사실 이전과 같은 경우는 워드프레스 기본 Editor를 이용해서도 만들 수 있는 페이지입니다. UX Builder의 사용방법에 익숙해 지도록 도움을 드리기 위해서 진행한 과정 입니다. 그러나 FAQ페이지와 같은 경우는 페이지빌더가 없으면 만들기 어려운 기능적인 요소들이 있습니다. 이번과정에서는 FAQ페이지를 통해서 UX Builder를 조금더 활용하는 방법에 대해서 알아보도록 하겠습니다 . [fusion_fontawesome icon=”fa-chevron-right” circle=”yes” size=”13px” iconcolor=”” circlecolor=”” circlebordercolor=”” rotate=”” spin=”no” animation_type=”0″ animation_direction=”down” animation_speed=”0.1″ alignment=”left” class=”” id=””/] LAYOUT 중에서 ‘One Column Row’를 추가 합니다. [fusion_fontawesome icon=”fa-chevron-right” circle=”yes” size=”13px” iconcolor=”” circlecolor=”” circlebordercolor=”” rotate=”” spin=”no” animation_type=”0″ animation_direction=”down” animation_speed=”0.1″ alignment=”left” class=”” id=””/] UX Builder 의 CONTENT 중 Accordion을 클릭 합니다. [fusion_fontawesome icon=”fa-chevron-right” circle=”yes” size=”13px” iconcolor=”” circlecolor=”” circlebordercolor=”” rotate=”” spin=”no” animation_type=”0″ animation_direction=”down” animation_speed=”0.1″ alignment=”left” class=”” id=””/] 아래 화면과 같이 Accordion item 3개를 가진 Accordion Element가 추가 됬습니다. 먼저, Accordion의 이름을 입력 합니다. 여기에서는 FAQ라고 입력 합니다. ‘Apply’를 클릭 합니다. [fusion_fontawesome icon=”fa-chevron-right” circle=”yes” size=”13px” iconcolor=”” circlecolor=”” circlebordercolor=”” rotate=”” spin=”no” animation_type=”0″ animation_direction=”down” animation_speed=”0.1″ alignment=”left” class=”” id=””/] ‘Text’를 클릭 합니다. [fusion_fontawesome icon=”fa-chevron-right” circle=”yes” size=”13px” iconcolor=”” circlecolor=”” circlebordercolor=”” rotate=”” spin=”no” animation_type=”0″ animation_direction=”down” animation_speed=”0.1″ alignment=”left” class=”” id=””/] PRESET 중 하나를 선택 합니다. 여기서는 Paragraph를 선택 합니다. [fusion_fontawesome icon=”fa-chevron-right” circle=”yes” size=”13px” iconcolor=”” circlecolor=”” circlebordercolor=”” rotate=”” spin=”no” animation_type=”0″ animation_direction=”down” animation_speed=”0.1″ alignment=”left” class=”” id=””/] Text 를 입력하기 위해서 Open Text Editor를 클릭 합니다. [fusion_fontawesome icon=”fa-chevron-right” circle=”yes” size=”13px” iconcolor=”” circlecolor=”” circlebordercolor=”” rotate=”” spin=”no” animation_type=”0″ animation_direction=”down” animation_speed=”0.1″ alignment=”left” class=”” id=””/] Text 입력이 완료되면 ‘Apply’를 클릭 합니다. [fusion_fontawesome icon=”fa-chevron-right” circle=”yes” size=”13px” iconcolor=”” circlecolor=”” circlebordercolor=”” rotate=”” spin=”no” animation_type=”0″ animation_direction=”down” animation_speed=”0.1″ alignment=”left” class=”” id=””/] 위와 같은 과장을 반복해서 원하는 만큼의 FAQ항목을 만듭니다. 작업이 완료되면 ‘Update’를 클릭 합니다. [fusion_fontawesome icon=”fa-chevron-right” circle=”yes” size=”13px” iconcolor=”” circlecolor=”” circlebordercolor=”” rotate=”” spin=”no” animation_type=”0″ animation_direction=”down” animation_speed=”0.1″ alignment=”left” class=”” id=””/] UX Builder 를 Close 한 후 반드시 ‘Update’를 클릭해서 변경 사항을 Save를 하시기 바랍니다. [fusion_fontawesome icon=”fa-chevron-right” circle=”yes” size=”13px” iconcolor=”” circlecolor=”” circlebordercolor=”” rotate=”” spin=”no” animation_type=”0″ animation_direction=”down” animation_speed=”0.1″ alignment=”left” class=”” id=””/]FrontPage 에서 작업 내용을 확인해 봅니다. 아래 화면과 같이 우리가 일반적으로 많이 봤던 Accordion형식의 FAQ를 보실 수 있습니다. Contact us 페이지에는 보통 다음과 같은 정보들이 포함되게 됩니다. [fusion_fontawesome icon=”fa-chevron-right” circle=”yes” size=”13px” iconcolor=”” circlecolor=”” circlebordercolor=”” rotate=”” spin=”no” animation_type=”0″ animation_direction=”down” animation_speed=”0.1″ alignment=”left” class=”” id=””/] Pages> Add New 로 이동해서 Contact us페이지를 새로 만듭니다. 아래 화면과 같이 페이지 이름을 Contact us라고 주고 ‘Publish’를 클릭 합니다. Save가 된 후 같은 화면에서 UX Builder를 클릭 합니다. [fusion_fontawesome icon=”fa-chevron-right” circle=”yes” size=”13px” iconcolor=”” circlecolor=”” circlebordercolor=”” rotate=”” spin=”no” animation_type=”0″ animation_direction=”down” animation_speed=”0.1″ alignment=”left” class=”” id=””/] LAYOUT 중에서 One Column Row를 하나 추가 해줍니다. 아래 화면과 같이Map을 추가 합니다. [fusion_fontawesome icon=”fa-chevron-right” circle=”yes” size=”13px” iconcolor=”” circlecolor=”” circlebordercolor=”” rotate=”” spin=”no” animation_type=”0″ animation_direction=”down” animation_speed=”0.1″ alignment=”left” class=”” id=””/] LAYOUT 중에서 One Column Row를 하나 추가 해줍니다. 아래 화면과 같이Map을 추가 합니다. 아래화면에서 위도(Latitude) 와 경도(Longitude)를 입력해 줍니다. [fusion_fontawesome icon=”fa-chevron-right” circle=”yes” size=”13px” iconcolor=”” circlecolor=”” circlebordercolor=”” rotate=”” spin=”no” animation_type=”0″ animation_direction=”down” animation_speed=”0.1″ alignment=”left” class=”” id=””/] Map을 추가한 Row 바로 아래에 2개의 Column을 가진 Row를 새로 추가 합니다. 왼쪽의 Column에 Accordion을 추가 해주고 Phone, Email, Business Hour등을 추가 합니다. [fusion_fontawesome icon=”fa-chevron-right” circle=”yes” size=”13px” iconcolor=”” circlecolor=”” circlebordercolor=”” rotate=”” spin=”no” animation_type=”0″ animation_direction=”down” animation_speed=”0.1″ alignment=”left” class=”” id=””/] 오른쪽 Column에는 Contact Form을 추가 합니다. 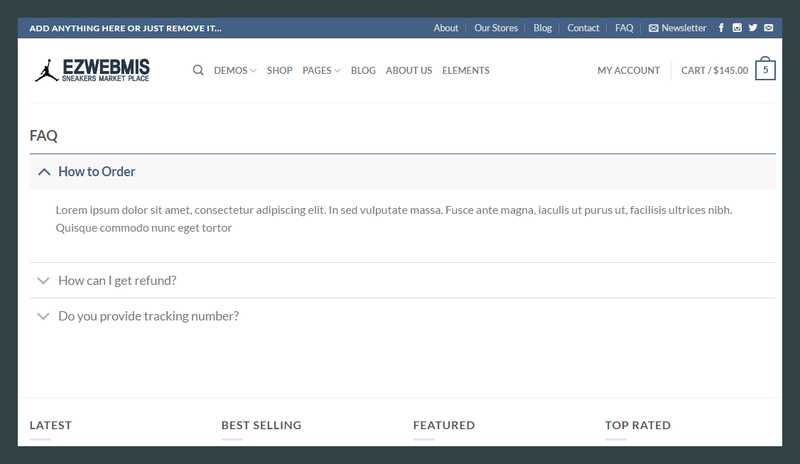 Add element 를 클리한 후 UX Builder 컨트롤 판넬에서 Form(CF7) 을 클릭 합니다. [fusion_fontawesome icon=”fa-chevron-right” circle=”yes” size=”13px” iconcolor=”” circlecolor=”” circlebordercolor=”” rotate=”” spin=”no” animation_type=”0″ animation_direction=”down” animation_speed=”0.1″ alignment=”left” class=”” id=””/] 아래 화면과 같이 오른쪽 Column에 Form이 입력이 됬습니다. Apply를 클릭합니다. 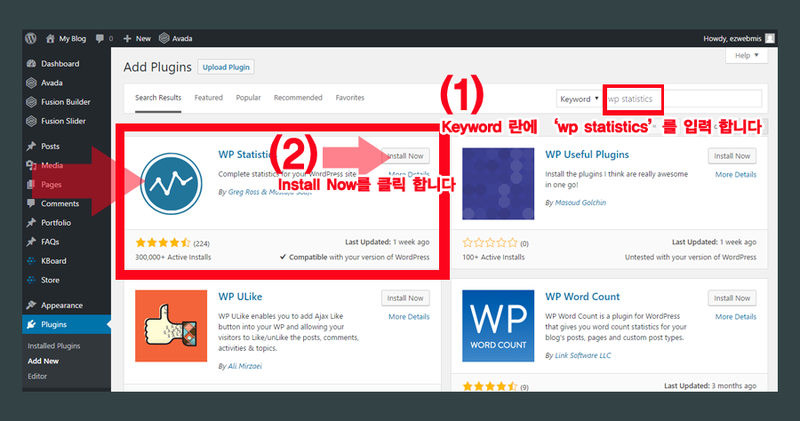 그리고 UX Builder를 클릭하고 기본 Editor로 돌아가서 ‘Update’를 클릭합니다. [fusion_fontawesome icon=”fa-chevron-right” circle=”yes” size=”13px” iconcolor=”” circlecolor=”” circlebordercolor=”” rotate=”” spin=”no” animation_type=”0″ animation_direction=”down” animation_speed=”0.1″ alignment=”left” class=”” id=””/] Frontpage에서 확인 한 Contact us 페이지 입니다. Contact Form은 사용자들의 정보를 입력받고 소통을 하기위한 도구 입니다. 일반적으로 입력받는 내용은 아래와 같습니다. 너무 많은 정보의 입력을 요구하는 것은 사용자에게 거부감을 주기 때문에 가능한 꼭 필요한 정보 위주로 간단하게 만드시는 것이 좋습니다. [fusion_fontawesome icon=”fa-chevron-right” circle=”yes” size=”13px” iconcolor=”” circlecolor=”” circlebordercolor=”” rotate=”” spin=”no” animation_type=”0″ animation_direction=”down” animation_speed=”0.1″ alignment=”left” class=”” id=””/] Contact > Contact Forms 로 이동 합니다. [fusion_fontawesome icon=”fa-chevron-right” circle=”yes” size=”13px” iconcolor=”” circlecolor=”” circlebordercolor=”” rotate=”” spin=”no” animation_type=”0″ animation_direction=”down” animation_speed=”0.1″ alignment=”left” class=”” id=””/] Preset 은 기본 Format을 미리 만들어 놓은 것 입니다. Copy & Paste로 쉽게 사용 가능 합니다. 여기서는 상단의 Tab중 Form을 클릭 합니다. [fusion_fontawesome icon=”fa-chevron-right” circle=”yes” size=”13px” iconcolor=”” circlecolor=”” circlebordercolor=”” rotate=”” spin=”no” animation_type=”0″ animation_direction=”down” animation_speed=”0.1″ alignment=”left” class=”” id=””/] 아래와 같이 Form의 입력 항목을 선택해서 실제 Form에 추가하는 방식으로 Form을 만들 수 있습니다. 여기서는 선택박스(여러개중 하나의 값을 선택), 라디오버튼, 체크박스등 다양한 Form element를 사용 가능 합니다. 보다 상세한 정보가 필요한 경우 여러분의 요구 사항에 맞도록 Form을 만들 수 있습니다. 즉, 원하는 위치에 마우스를 한번 클릭하고 위의 Form element중 하나를 클릭 합니다. 여기서는 Email 과 Subject 사이에 Tel을 추가하는 작업을 기준으로 Form을 수정하는 방법에 대해서 알아보겠습니다. [fusion_fontawesome icon=”fa-chevron-right” circle=”yes” size=”13px” iconcolor=”” circlecolor=”” circlebordercolor=”” rotate=”” spin=”no” animation_type=”0″ animation_direction=”down” animation_speed=”0.1″ alignment=”left” class=”” id=””/] 아래와 같이 Email 과 Subject 사이에 조금 공간을 두고 상단의 Form element중 ‘Tel’을 클릭합니다. 필수 항목이면 ‘Required field’를 클릭합니다. ‘Insert tag’를 클릭 합니다. [fusion_fontawesome icon=”fa-chevron-right” circle=”yes” size=”13px” iconcolor=”” circlecolor=”” circlebordercolor=”” rotate=”” spin=”no” animation_type=”0″ animation_direction=”down” animation_speed=”0.1″ alignment=”left” class=”” id=””/] 아래 (2)번 화면과 같이 이미 등록된 Form element 를 하나 Copy해서 제목을 Phone으로 변경하고 원래 항목 대신 방금 추가한 Tel 항목으로 변경 해주고 Save 를 합니다. [fusion_fontawesome icon=”fa-chevron-right” circle=”yes” size=”13px” iconcolor=”” circlecolor=”” circlebordercolor=”” rotate=”” spin=”no” animation_type=”0″ animation_direction=”down” animation_speed=”0.1″ alignment=”left” class=”” id=””/] Email Tab을 클릭해서 이메일이 어떻게 전송될 것인지 설정 해줍니다..
9. 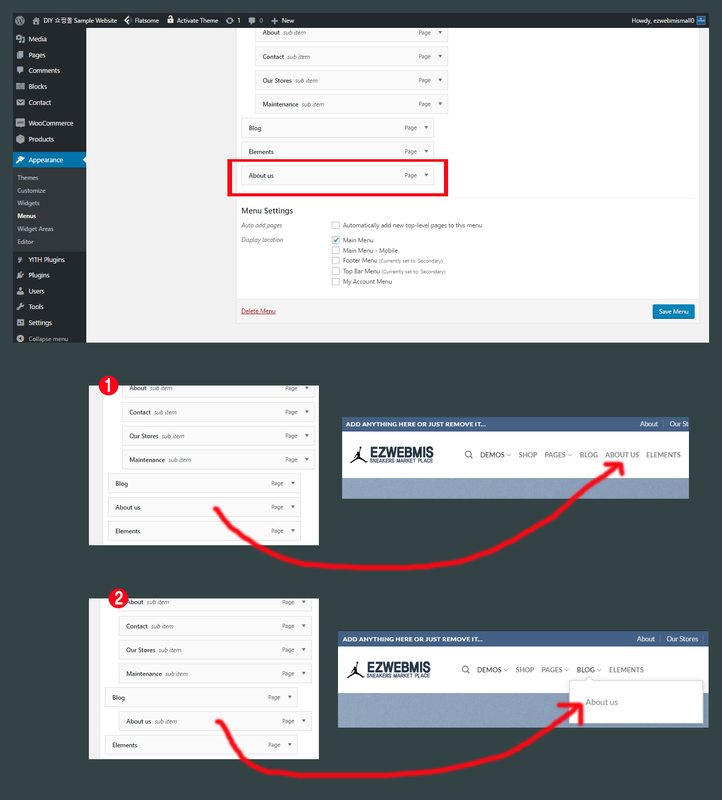 쇼핑몰 헤더(Header) 및 푸터(Footer). 헤더와 푸터는 쇼핑몰의 어떤 페이지에서도 항상 보여지는 부분입니다. 모든 페이지에서 동일하게 보여지기 때문에 웹사이트를 사용하는데 자주 쓰는 기능과 컨텐츠들이 보여지도록 하는 것이 좋습니다. 예를들어 메인메뉴, 마이페이지링크, 로고, 연락처, 쇼핑카트버튼등 입니다. 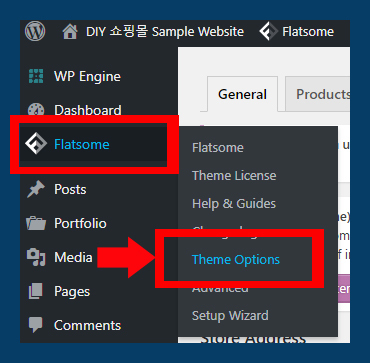 본 DIY 쇼핑몰따라하기 포스팅에서 설명드리고 있는 Flatsome Theme의 경우는 헤더와 푸터를 아주 세밀하게 설정 할수 있습니다. 아래에서 하나씩 살펴보도록 하겠습니다. 아래 화면과 같이 웹페이지 가장 상단 부분의 일정부분을 헤더라고 합니다. 헤더는 어떤 페이지를 오픈해도 똑같이 내용이 보여지게 됩니다. 아래와 같이 로고, 메인메뉴, 로그인, 쇼핑카트, 추가적인 메뉴등이 들어가는 것이 일반적입니다. 그러나, 정해진 규칙이 있는 것은 아니니 여러분의 개성에 따라서 다양하게 연출이 가능 합니다. 아래 화면과 같이 Theme Options메인 화면이 나타납니다. Flatsome의 경우는 워드프레스 커스터마이징 기본 화면에 Flatsome의 추가적인 설정 기능들을 추가하는 방식으로 사용자 인터페이스를 제공 합니다. 이어서 설명드릴 푸터의 경우도 여기서 설정이 가능 합니다. 아래 화면에서 Header를 클릭 합니다. 그러면 아래와 같이 헤더를 설정하는 모든 기능들이 왼쪽에 나열됩니다. 그리고 화면 오른쪽에는 실제 웹사이트가 위쪽에 보이고 아래쪽에는 Drag & Drop 설정 창이 보이게 됩니다. 직감적으로 아시겠지만 아래 부분에서 원하는 부분을 클릭하면 해당 부분을 수정 할 수 있도록 되있습니다. 그럼, 중요기능들에 대해서 하나씩 설명을 드리겠습니다. Preset : 이부분은 일반적으로 쇼핑몰 에서 많이 사용하는 헤더타입들을 미리 만들어 놓고 그중 하나를 선택해서 빠르게 설정하도록 도움을 주는 부분 입니다. 아래 화면에서 왼쪽에 미리 정해진 헤더의 이미지가 보이는데 이중 마음에 드는 것을 하나 선택하신 후 Publish를 클릭하면 헤더가 변경이 됩니다. 보통 이 방법으로 헤더를 설정하는 경우가 많습니다. 선택된 헤더타입의 부분부분의 컨텐츠는 오른쪽 화면 하단의 원하는 부분을 클릭한 후 변경이 가능 합니다. Logo & Site Identity : 로고이미지를 업로드 하는 부분입니다. 아래 화면과 같이 원하는 로고 이미지를 업로드하고 로고의 위치 조정, 로고 주변의 여백조정등을 할 수 있으며 Favicon 설정도 여기서 가능 합니다. Top Bar : 헤더의 가장 윗부분을 Top Bar라고 합니다. 아래 화면의 왼쪽과 같이 높이 조절, 폰트 색상, 미리 정해진 스타일등의 설정을 변경 가능합니다. Top Bar는 3개의 컬럼으로 이미 정해져 있습니다. 아래에서 보듯이 맨 왼쪽에 자유롭게 컨텐츠를 넣을 수 있는 ‘HTML1’ 이 만들어져 있고 가운데 컬럼은 비어 있으며 맨 오른쪽 컬럼에는 ‘Top Bar Menu’ 와 ‘Social Icon’이 자리하고 있는 것을 알 수 있습니다. 각각의 내용을 변경 하려면 해당 부분을 클릭하면 됩니다. 예를들어 ‘HTML1’ 에 본인이 원하는 내용을 입력 하려면 아래 화면 오른쪽 하단의 Top Bar안에 있는 ‘HTML1’을 클릭한 후 내용을 변경 하면 됩니다. Header Main : 메인헤더 부분의 디자인을 변경하는 부분입니다. 아래 화면과 같이 헤더의 넓이변경, 배경색 변경, 백그라운드 이미지 추가, 메뉴의 디자인 변경, 헤더의 높이 변경등 아주 세밀하게 디자인을 변경 가능 합니다. 여러분이 원하는 디자인으로 만들기 위해서 하나씩 테스트를 해보세요. 수정한 내용은 실시간으로 오른쪽에 나타납니다. Header Bottom : 메인헤더 아래부분을 Header Bottom이라고 구분 합니다. 그러나 이부분은 앞서 설명드린 Preset의 종류에 따라서 보이기도 하고 보이지 않는 경우도 있습니다. 아래 화면의 경우는 Header Bottom을 사용하는 Preset을 예로 들었습니다. 아래 화면과 같이 Header Bottom부분에 메인 메뉴가 보이도록 설정이 되있습니다. 이때 Header Bottom의 높이 조절, 배경색 변경, 메인메뉴 디자인 스타일등을 변경 하 실 수 있습니다. Header Sidebar / Mobile : 다른기기 특희, 모바일에서 웹사이트 디자인을 설정하는 부분 입니다. 우측 화면 중간 부분에 있는 Desktop, Tablet, Mobile을 클릭하면 각각의 기기에서 디자인이 어떻게 보이는지 미리 확인이 가능 합니다. 모바일에서의 해더의 높이, 로고위치, 메뉴아이콘의 스타일등을 설정 하고, 메뉴에 보일 항목도 수정이 가능 합니다. Sticky Header : Sticky Header 란? 마우스를 스크롤해서 현재 화면을 아래쪽으로 넘어갈때 헤더 부분이 화면에서 계속 나타나도록 고정 시켜주는 기능을 말합니다. 지금까지 살펴본 헤더의 3부분을 각각 설정이 가능 합니다. Sticky Header에서만 보이는 로고 설정, 높이 설정등이 가능 합니다. 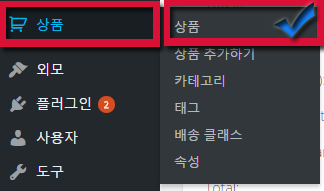 Dropdown Style : 메인메뉴의 가장 상위 단계 바로 다음단계 부터의 디자인 설정을 합니다. 배경색 변경, 테두리색 변경, 하위메뉴가 나타나는 창의 테두리를 둥글게하는 설정, 하위메뉴에 마우스가 올려졌을때 효과등의 설정을 할 수 있습니다. Buttons : 헤더에 2개의 커스텀 버튼을 추가 할 수 있습니다. 버튼의 스타일, 링크, 색상등을 설정 가능 합니다. 버튼은 헤더의 상단, 메인, 하단의 원하시는 곳에 Drag & Drop방식으로 추가 할 수 있습니다. Account : 마이어카운트(마이페이지) 링크 부분의 디자인을 설정 합니다. 아이콘스타일, 회원가입링크의 표시여부등을 설정 가능 합니다. 아리어카운틑를 클릭하면 기본적으로 우커머스에서 기본적으로 재공하는 마이페이지로 이동하게 됩니다. 그러나, 여러분의 비지니스 요구사항에 맞는 커스텀 마이페이지를 만들고 그것을 링크 시키는 것도 가능 합니다. Cart : 쇼핑카트에 마우스를 가져가거나 클릭을 했을때 디자인 및 기능 설정을 하는 부분 입니다. 카트 부분의 디자인 스타일 선택, 카트 아이콘 선택등을 할 수 있습니다. 특희, 카트를 클릭했을때 바로 아래 Dropdown으로 카트 내용을 간략하게 보여주는 방식 혹은 화면의 옆에 창을띄워 보여주는 방식등를 선택 할 수 있습니다. HTML : 헤더의 원하는 부분에 간단한 HTML을 추가합니다. 고급 사용자의 경우 자바스크립트도 추가 가능 합니다. 예를들어 현재시간을 알려주는 간단한 자바스크립트 코드등을 추가 할 수 있습니다. Contact : 간단한 Contact 정보를 입력하고 헤더의 원하는 부분에 보여 줄 수 있습니다. 10. 쇼핑몰 프론트(홈) 페이지 디자인. 안녕하세요. 최근에 진행중인 프로젝트들이 바빠서 웹사이트 내용 업데이트가 많이 밀려있습니다. 정리해서 업로드 해야 할 내용들이 산더미인데 마음만 조급하군요. 프로젝트들이 어느정도 마무리 되면 조만간 다시 업데이트를 시작할 예정입니다. Avada는 분명 좋은 테마이지만, 쇼핑몰을 제작하려면 Flatsome이 보다 많은 기본 기능들을 제공한다고 말씀드리고 싶습니다. 페이지 빌더가 처음에는 조금 생소하기는 하지만 조금만 사용해보면 금방 익숙해 질 것입니다. 실제로 기본 기능이나 디자인들이 쇼핑몰에 최적화 되있고 설정들이 아주 세밀하게 작동되도록 되 있습니다. 무엇보다 ThemeForest내에서 워드프레스 + 우커머스 쇼핑몰 테마 중 전세계에서 가장 많이 팔린 테마라는 사실이 충분히 믿음을 준다고 생각합니다. 우커머스 기본설정 과우커머스 상품등록 글들을 참조하시면 도움이 될것입니다. 혹시 개발자이신 경우는 반드시 Child-Theme을 만드신 후 커스터마이징을 하세요. 워드프레스는 Hook 이라는 마법이 있어서, 이 Hook( Action & Filter)만 잘 사용하면 웹사이트를 마음대로 커스터마이징 할 수 있습니다. Child-theme의 Function.php에 Hook을 추가해서 원하는 부분을 마음대로 커스터마이징이 가능 합니다. 또한 우커머스의 템플릿들을 ( 상품 상세 페이지, 상품 진열 페이지등 … ) 100% 본인이 원하는대로 수정도 가능 합니다. 말씀하신 Hook 와 관련되어 학습할수 있는 자료가 있다면 추천부탁드려도 될런지요? 여기 LA는 요즘 늦더위로 요 며칠 30도를 넘는 불볕 더위가 기승입니다. 밤과의 일교차가 크다보니 요즘 주위에 감기에 고생하는 사람들이 많군요. 워드프레스, 우커머스는 자체적으로 잘 정리된 Hook들을 가지고 있습니다. Hook을 조금 이해하기 쉽게 말씀드리면 여러가지 기능과 데이터 처리를 하는 PHP 함수들이라고 보시면 됩니다. 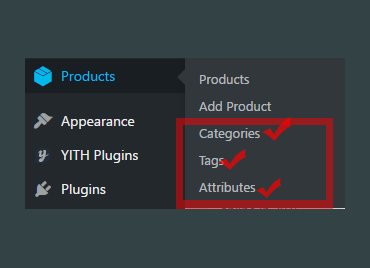 Hook은 크게 Action 과 Filter로 나뉘어 집니다. Action Hook은 말 그대로 어떤 시점에 어떤 실행을 하도록 해주는 것을 말합니다. Filter Hook은 데이터가 데이터 베이스로 저장되거나 브라우져에 보여지기 전에 어떤 처리를 해주는 것을 말합니다. 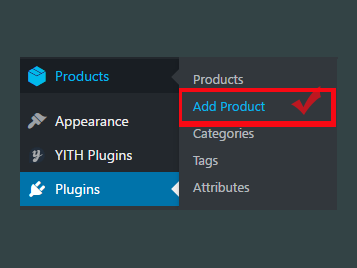 이러한 Hook들은 보통 현재 Active 상태인 디자인테마의 Child-Theme 안의 Function.php에 추가해서 사용합니다. 이렇게 해주면 워드프레스 코어나 디자인테마가 업데이트가 되더라도 커스터마이징한 부분을 그대로 사용 하 수 있습니다. 현재 저희가 워드프레스 및 우커머스 Hook 관련해서 정리를 하고 있습니다. 조만간 본 웹사이트에 포스팅을 할 예정 입니다. 그전에 우선 영문으로 된 사이트를 안내해 드리겠습니다. 그럼 참조하시고 문의 사항이 있으시면 연락 주세요. 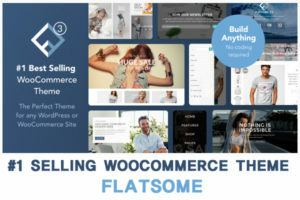 Flatsome의 경우는 우커머스에 최적화되있어서 쇼핑몰을 계획 하신다면 도움이 됩니다. Avada와 같은 모든것을 다 고려한 Multi-purpose 테마들은 사실 쇼핑몰에는 좋지 않습니다. 너무 많은 기능들을 아주 Heavy하게 항상 로드를 해야하기 때문에 성능을 아주 나쁘게 하는 경우가 많습니다. 그리고 Flatsome과 같은 유료테마도 있지만 StoreFront 와 같이 우커머스 공식 웹사이트에서 무료로 다운받는 디자인테마도 있습니다. 또한 워드프레스 디자인테마 선택하는 곳에서 무료 우커머스 테마들도 많이 찾아 보실 수 있습니다. 안녕하세요 운영자님 구글링을 하다 우연히 이 사이트에 들어왔습니다. 이커머스 제품 상세페이지 커스터마이징이 불가능 하더군요..
그래서 이래저래 구글링을 하다 운영자님 덕분에 flatsome 테마를 알게 되었고 이걸로 만들어봐야겠단 생각이 드네요. 굳이 우커머스를 사용하지 않아도 되지 않을까요? 혹시 추천해주실만한 테마나 플러그인이 있다면 부탁드립니다!! 아직 많이 부족하지만 향후에 워드프레스 및 우커머스 관련 최고의 Authority 사이트로 만들고자 노력 중입니다. 즉 강의를 제품으로 등록하고 강의 일정과 참가 인원을 정한후 일정 인원이 차면 강의 예약을 완료하는 방식으로 판매가 가능 할 것 같습니다. 그와 같은 형태라면 쇼핑몰이 아니라도 적당한 디자인테마 혹은 플러그인을 활용해서 구현이 가능 할 것 같습니다. 디자인테마 중 온라인 및 오프라인 강의 판매 테마 2가지를 소개 해드리면 아래와 같습니다. 위 2가지 중 첫번째의 경우는 완벽한 온라인 강의 판매 플랫폼 입니다. 그러나, 기능이 너무 많아서 조금 사용이 어려울 수 있습니다. 두번째의 경우는 최근에 출시된 디자인테마 인데 평가가 상당히 좋은 편입니다. 아래 링크는 Event를 판매하는 디자인테마들의 모음 입니다. 위에 소개드린 이외에도 무료로 제공되는 플러그인과 디자인테마들도 있습니다. 안녕하세요 운영자님 댓글 달아주신걸 이제 봐서 댓글을 남기네요. 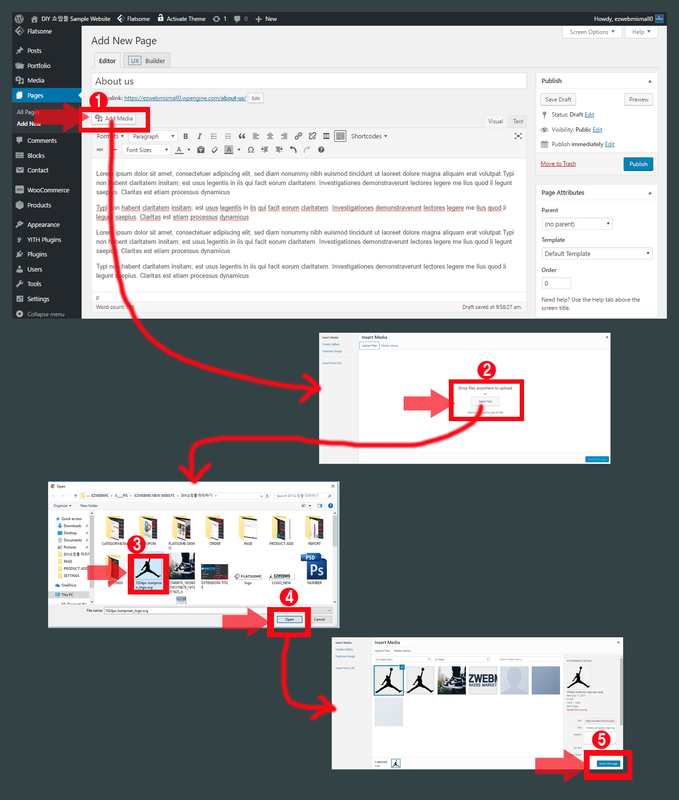 이 글에서 추천해주신 flatsome 테마와 댓글에서 강의 플랫폼 테마로 추천해주신 lms 테마는 가격이 좀 비싸네요..
theme 포레스트에 올라온 가격 정책을 보니 regular license 50~60달러 extended license는 2000~3000달러네요..
제가 이해한 바로는 유료 상품/강의를 판매하느냐 (end users can be charged for) , 무료 상품/강의를 판매하느냐(end users are not charged for)로 나뉜것 같은데 유로 상품/강의를 판매해야 하는 입장이다 보니 해당 테마들을 구입하기는 어렵네요..
사이트 속도또한 훨씬 빠른 느낌입니다. 최근 만들고 있는 사이트는 그래서 OCEANWP theme + Elementor plugin 조합으로 사이트를 구축중입니다. 거기서부터 장바구니 추가 및 이후의 결제과정을 진행할 수 있게 구성하고 있습니다. 이렇게 디자인테마에 100% 독립적으로 컨텐츠를 관리하려면 Visual Composer와 같은 페이지빌더 플러그인을 사용하기도 합니다. 플러그인을 사용하면 디자인테마와 무관하게 사용이 가능 하기 때문입니다. 또, 최근 출시되는 디자인테마들은 Visual Composer를 기본 페이지 빌더로 include해서 판매하는 경우가 많습니다. 말씀하신 Elementor의 경우, 저희는 사용해 보지 않았지만 이미 많은 사용자들이 사용중인 좋은 페이지 빌더인 것 같습니다. 모두 별도의 라이센스를 구입해야 합니다. 두 라이센스의 차이점은 이렇게 만들어진 최종 웹사이트 (혹은 디자인테마, 플러그인 )을 재판매가 가능하도록 허용하는 것이 Extended License이고 Regular License 의 경우는 이것이 불가능 합니다. 예를들면 플러그인의 Extended License를 구입해서 본인의 디자인테마를 만들면 해당 디자인테마를 시장에서 판매 할 수 있는 것 입니다. 현재 진행중인 프러젝트 성공적으로 완료하시길 바랍니다.